Dinner at Vis-a-Vis in Singapore. 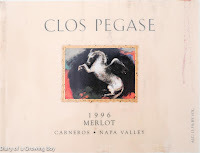 1996 Clos Pegase Merlot - drank this while waiting for the San Leonardo to be ready. The Merlot was typically Californian. Very forward and a big wine. 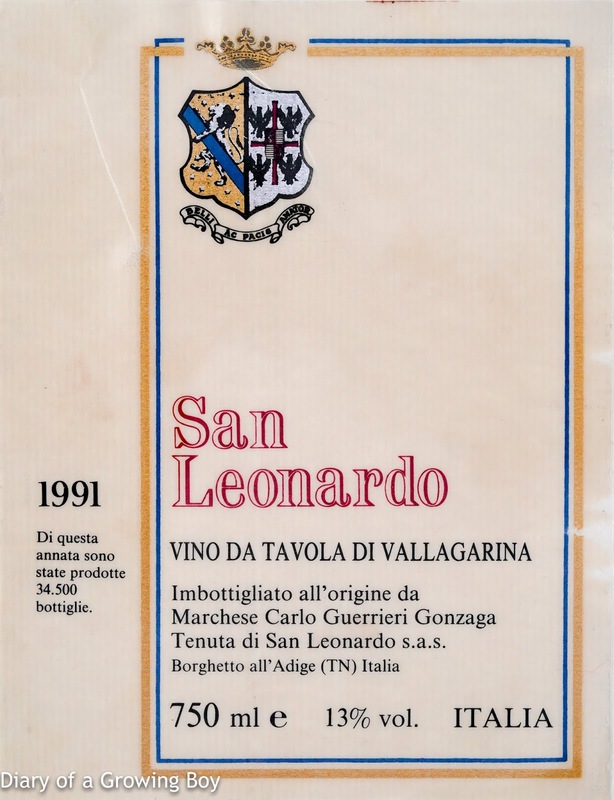 Sweet nose and palate, but firm tannins (a bit young) and lots of oak and earthy/minerals. Listed at Vis-a-vis for SGD 78. 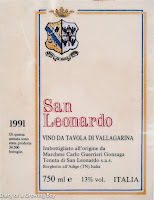 1991 San Leonardo - this was really closed when opened. It was pretty undrinkable at first. Took about an hour to open, then it was much smoother. Nose was just like a Bordeaux, not enough fruit in the nose and palate. It was OK as a drinking wine. Not as good as the one we had in Tokyo. Bought from Vinum for SGD 48.